You have read this article downloads / printable with the title June 2010. 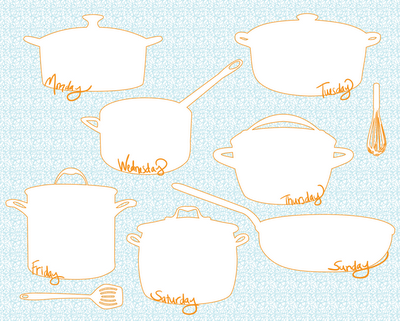 You can bookmark this page URL http://jenkrebs.blogspot.com/2010/06/weekly-menu-printable.html. Thanks! You have read this article art with the title June 2010. You can bookmark this page URL http://jenkrebs.blogspot.com/2010/06/paint-chip-projects-by-matthew.html. Thanks! 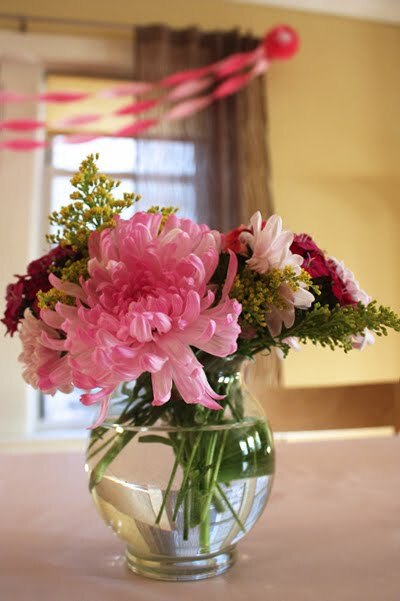 You have read this article decorating / tutorials with the title June 2010. 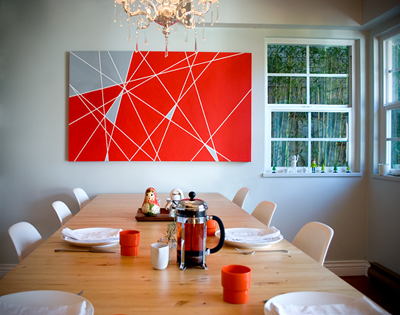 You can bookmark this page URL http://jenkrebs.blogspot.com/2010/06/diy-wall-art-solution.html. Thanks! 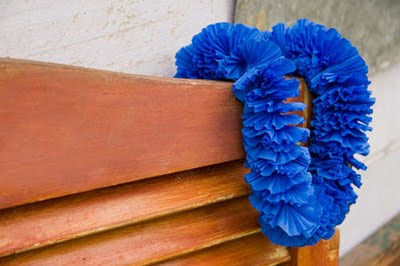 You have read this article decorating with the title June 2010. 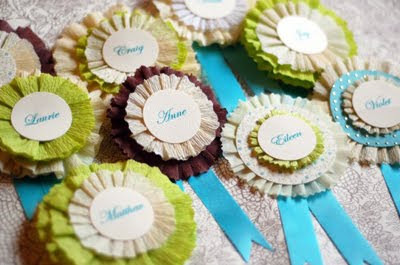 You can bookmark this page URL http://jenkrebs.blogspot.com/2010/06/an-easy-decorating-idea.html. Thanks! Spruce up your Twitter page for summer with Ollibird's free seamless background patterns for websites and desktops. Fresh and fun with plenty of orange. Gotta love it. You have read this article desktops / downloads with the title June 2010. You can bookmark this page URL http://jenkrebs.blogspot.com/2010/06/pretty-twitter-backgrounds.html. Thanks! Download the new, free font Geomancy from One By Four Studio. It's an art deco font that comes in Extra Bold and Hairline. You can even get crazy and layer them on top of each other. Geomancy is free for personal use; contact One By Four for commercial permission. You have read this article fonts / graphic design with the title June 2010. You can bookmark this page URL http://jenkrebs.blogspot.com/2010/06/free-font-geomancy.html. Thanks! Put rolls of crepe paper to good use! Try out these tutorials for your next party. If you have tons of time on your hands, that is. 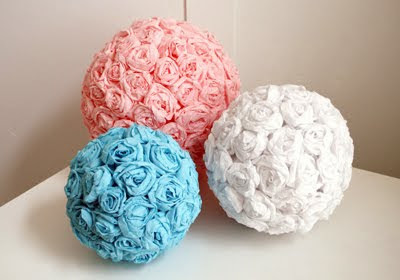 Make crepe paper balls of roses with House of Smiths. For extra help, see Filth Wizard's video instructions for forming roses. 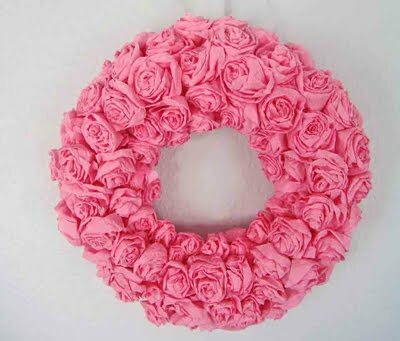 You could glue those roses to a wreath form like Johanna did. 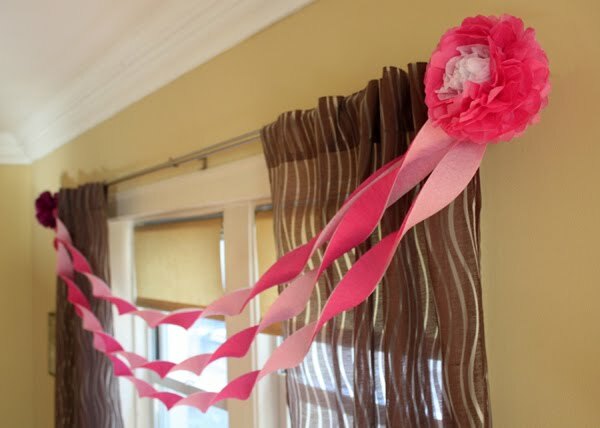 Make crepe paper leis at Dream a Lil' Dream. 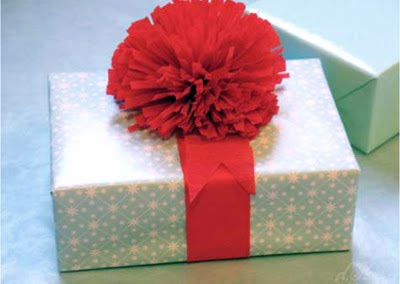 Craft up some crepe paper medallions with Laurie at Once Wed.
Top gifts with crepe paper pompoms following Denise's instructions at Design Sponge. 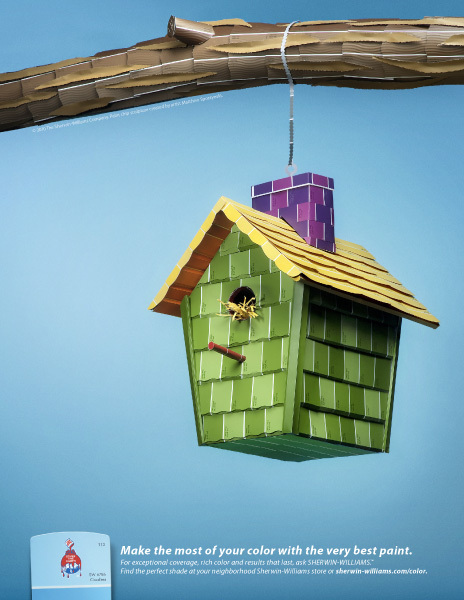 You have read this article tutorials with the title June 2010. 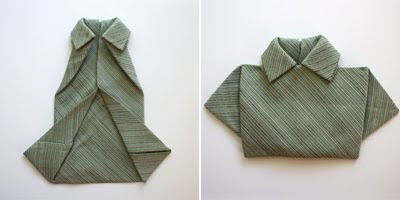 You can bookmark this page URL http://jenkrebs.blogspot.com/2010/06/5-things-to-make-with-crepe-paper.html. Thanks! Late Friday night I decorated a little bit for a Saturday morning reception at our place. I found some tissue paper in the closet and made flowers while watching Die Hard on TV. Pink flowers plus Die Hard = a good time. Here's a tutorial for making similar blossoms with napkins. You have read this article entertaining / tutorials with the title June 2010. You can bookmark this page URL http://jenkrebs.blogspot.com/2010/06/simple-party-decorating.html. Thanks! Ms. Eleanor Grosch's latest wallpaper for desktops and iPhones is right here. This time it's bikes. I think she should do Segways next. Followed by Big Wheels. You have read this article desktops with the title June 2010. You can bookmark this page URL http://jenkrebs.blogspot.com/2010/06/bike-desktop-wallpaper.html. Thanks! You have read this article entertaining / tutorials with the title June 2010. 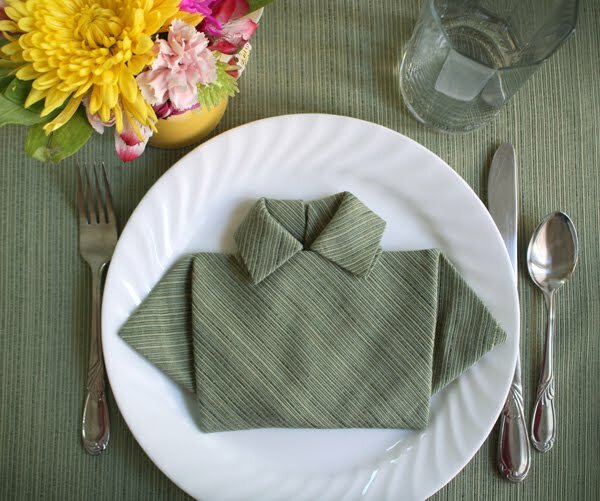 You can bookmark this page URL http://jenkrebs.blogspot.com/2010/06/fold-napkin-shirt-for-father-day.html. Thanks! Illustrator Helen Dardik has done it again: another printable book label, free for the downloading. Grab it right here. You have read this article downloads / printable with the title June 2010. 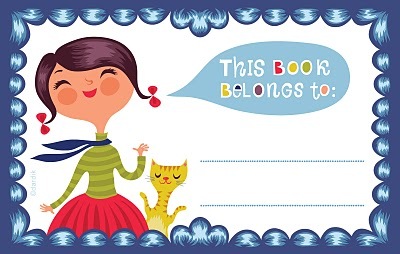 You can bookmark this page URL http://jenkrebs.blogspot.com/2010/06/printable-illustrated-bookplate.html. Thanks! You have read this article random with the title June 2010. 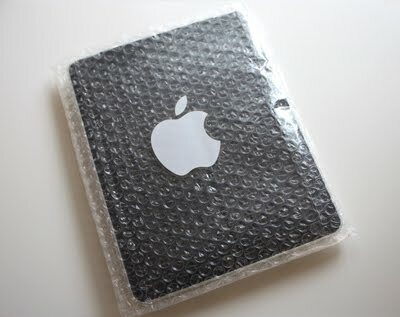 You can bookmark this page URL http://jenkrebs.blogspot.com/2010/06/i-upgraded-my-ipad-case.html. Thanks! 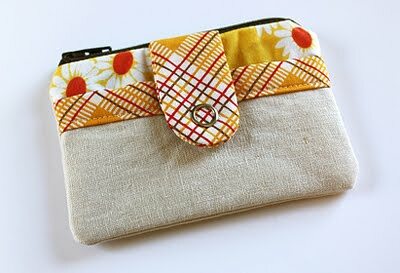 You have read this article sewing / tutorials with the title June 2010. 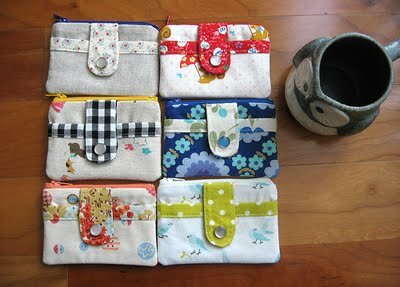 You can bookmark this page URL http://jenkrebs.blogspot.com/2010/06/super-cute-sewing-tutorials.html. Thanks! One of the strangest time-wasters ever: Simon Panrucker's beans game. Smash screaming baked beans with a click of your mouse. Um, happy Friday. You have read this article time-wasters with the title June 2010. 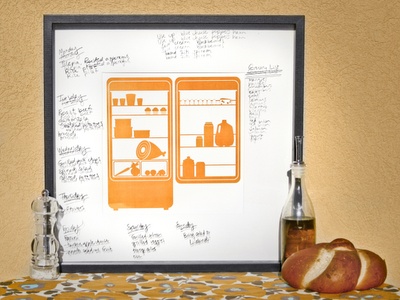 You can bookmark this page URL http://jenkrebs.blogspot.com/2010/06/smash-orange-beans.html. Thanks! Pattern Cooler is a site offering dozens of repeating patterns you can color, scale, and download. Use them for computer desktops, Twitter backgrounds, blogs, websites, and more. You have read this article resources with the title June 2010. You can bookmark this page URL http://jenkrebs.blogspot.com/2010/06/free-seamless-background-patterns.html. Thanks! This bowl of strawberries has downloadable instructions right here by Mr. Monkeysuit. 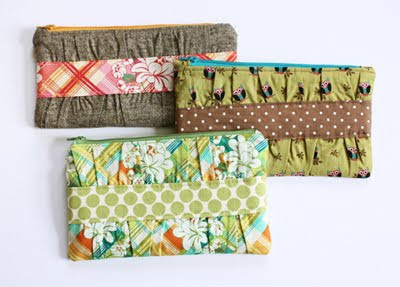 Or get another free pattern here at Lit'l Brown Bird. 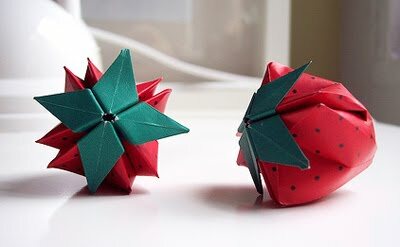 If you'd rather not stab your finger with a needle because you like paper cuts better, try folding origami strawberries like these from Flickr user N'omettre Rien. Panda Snacks made an insane cake with them. 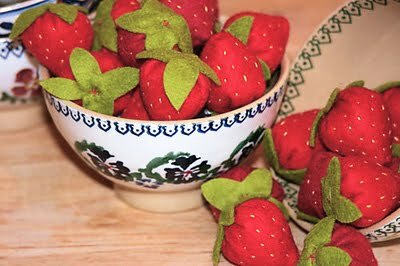 You'll need some strawberry origami folding paper, available here at Etsy. 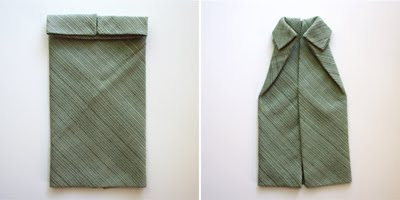 This video shows how to fold them. As I was preparing this post, a strange thing happened. I took a break to poke around YouTube, curious to see what the music artist Marina and the Diamonds looks like, since Are You Satisfied and I Am Not a Robot recently infiltrated my head. The first video I clicked was this. Are those felt strawberries attached to her shoulders?! 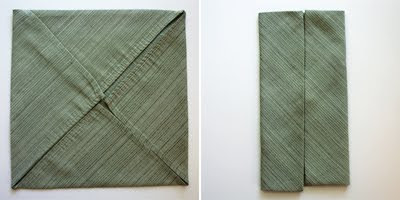 You have read this article felt / origami / paper / tutorials with the title June 2010. 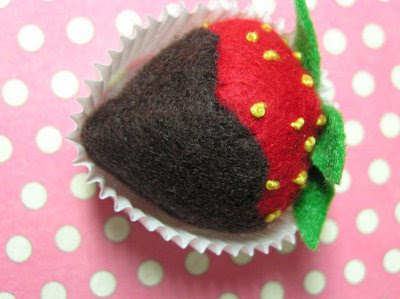 You can bookmark this page URL http://jenkrebs.blogspot.com/2010/06/how-to-make-strawberries-from-felt-or.html. Thanks! The Victoria and Albert Museum has created an online patchwork pattern maker that might cause quilters out there to jump up and down. (I'm not a quilter so I'm still seated, but somebody can let me know if this is useful.) 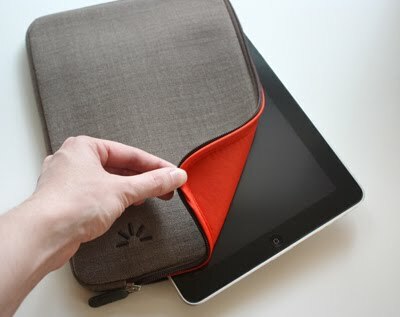 You can upload an image and convert it instantly into your own quilt pattern. Have fun playing! Thanks for the tip, Cindy. You have read this article resources / sewing with the title June 2010. 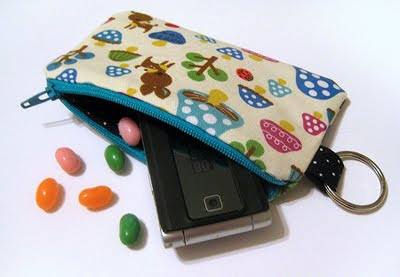 You can bookmark this page URL http://jenkrebs.blogspot.com/2010/06/turn-image-into-quilt-pattern.html. Thanks! I like simple, brilliant ideas. 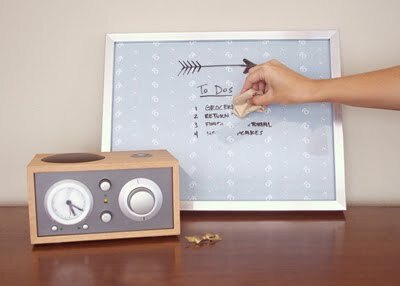 Check out Brittni's pretty dry erase board solution: fabric framed under glass. Let's all kick ourselves now for not thinking of this sooner. Read more about it here. 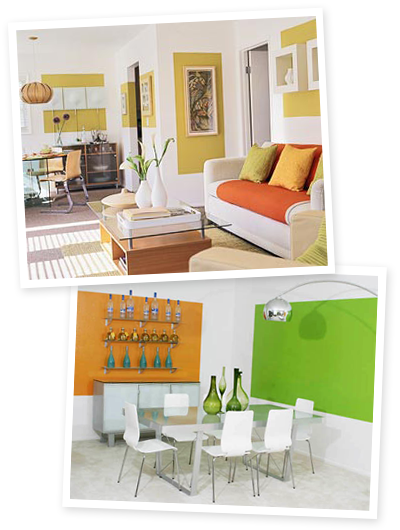 You have read this article decorating / tutorials with the title June 2010. You can bookmark this page URL http://jenkrebs.blogspot.com/2010/06/a-rather-fetching-dry-erase-board.html. Thanks! Many of you are familiar with the project-making, snack-eating, meet-and-greeting event that is Craft Social. Our original planning team, with the exception of Amanda Edwards, has retired from the job after producing three of these megaparties. Now I'm delighted to announce that Amanda is taking the reins and adding even more fabulousness to Chicago Craft Socials. In the past, we gave you some food and hoped you didn't poke your eye out with a scissors. Now you get food and cool free stuff, plus the usual awesome projects to attempt while you try not to poke your eye out with a scissors. Learn more on the blog, get event details, and register here. The Craft Social is next Friday, June 18, in Evanston. You have read this article with the title June 2010. You can bookmark this page URL http://jenkrebs.blogspot.com/2010/06/it-chicago-craft-social-time.html. Thanks! If you need to download and print a freebie greeting card, Canon's Creative Park has over 600 options in both letter and A4 sizes. I'm not a fan of teddy bears and tea roses, but some of the cards feature delightful illustrations. Canon, keep recruiting talented illustrators, please! Especially those of the quirky variety. Moms, if you're looking for a little craft project to do with the kiddos, try making a print-and-assemble Father's Day card. This lion family is cute. You have read this article cards / downloads / paper / printable with the title June 2010. You can bookmark this page URL http://jenkrebs.blogspot.com/2010/06/free-printable-greeting-cards.html. Thanks! Quiz: What do your color preferences say about you? Select colors you like and dislike in this quiz. Then all sorts of data about your personality will be revealed. An excerpt from my profile: "You are 54% extrovert and 46% introvert. You are dynamic, your actions are only directed by your own will and you know how to lead people. You are also able to have an in-depth thinking, you think before acting, and you know how to communicate your knowledge. Finally you are a manager and a structured person, you know how to take into account the needs of each person while leading them towards the set goals." If it's on the internet, it must be true. You have read this article quizzes / time-wasters with the title June 2010. 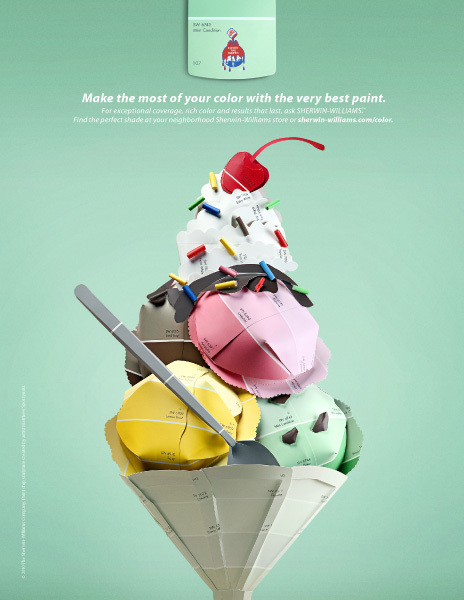 You can bookmark this page URL http://jenkrebs.blogspot.com/2010/06/quiz-what-do-your-color-preferences-say.html. Thanks! Designed by Pablo Impallari, The Lobster Font is a charming script you can download and use for websites and publications both personal and commercial, according to its SIL Open Font License. Learn about ligatures, terminal forms, and the labor of love embarked on by type designers, plus get the latest version of Lobster right here. Thank you, Mr. Impallari. You have read this article fonts / graphic design with the title June 2010. You can bookmark this page URL http://jenkrebs.blogspot.com/2010/06/free-font-lobster.html. Thanks!